The Book of Mormon mentions "ear-rings" 2 Nephi 13:20 in an Isaiah citation. The text uses the word "heavy" to describe ears 2 Nephi 16:10, also in a passage from Isaiah. The Book of Mormon associates some variant of the word "open" with ears as in 1 Nephi 20:8, 2 Nephi 7:5, Mosiah 2:9, and 3 Nephi 11:5. Elites throughout Mesoamerican history wore circular ear spools aka ear flares or ear plugs that literally opened ear lobes, made ears heavy, and could easily be described as ear-rings. 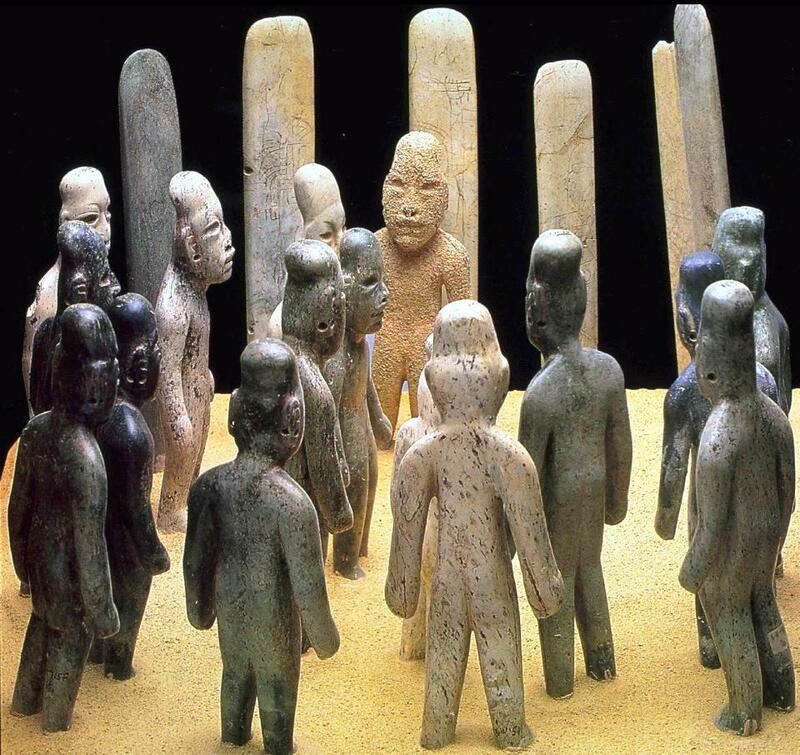 Notice that all these Olmec figurines from ca. 800 BC are wearing ear spools. Copan Stela A depicts Waxaklajun Ub'aah K'awiil (18 Rabbit), the 13th ruler, wearing large ear spools. This stela was dedicated on Maya Long Count date 9.14.19.8.12 (January 30, AD 731). These greenstone (jadeite) ear spools from Oaxaca ca. AD 1200 are in the collection of the American Museum of Natural History in New York City. Similar artifacts are found throughout Mesoamerica in almost all time horizons. See, for example, Thomas A. Lee, Jr. "The Artifacts of Chiapa de Corzo, Chiapas, Mexico," Papers of the New World Archaeological Foundation, Number 26 (Provo: BYU-NWAF, 1969) page 191.